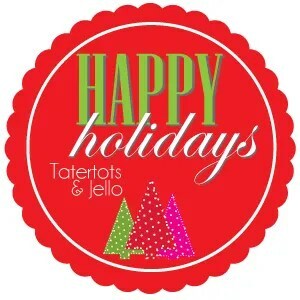 Madigan made… a wreath for Tatertots and Jello! Cold weather and I don’t get along very well. (I get chilly very easily.) But I have to admit that there is something very pretty about frost and snow. It sparkles and shines (like my beloved glitter!) and brightens those dark, cold days that are coming next month. That feeling is what inspired a recent wreath I made with pinecones and white paint (to mimic the look of snow). I added my own little bit of sparkle, too, with the addition of some gold and silver hues. Want to see how to make it? I shared the tutorial yesterday with the fun and fab Tatertot and Jello readers. Jen from TT&J invited me to participate in a Happy Holiday Blogger Series this month on her blog. 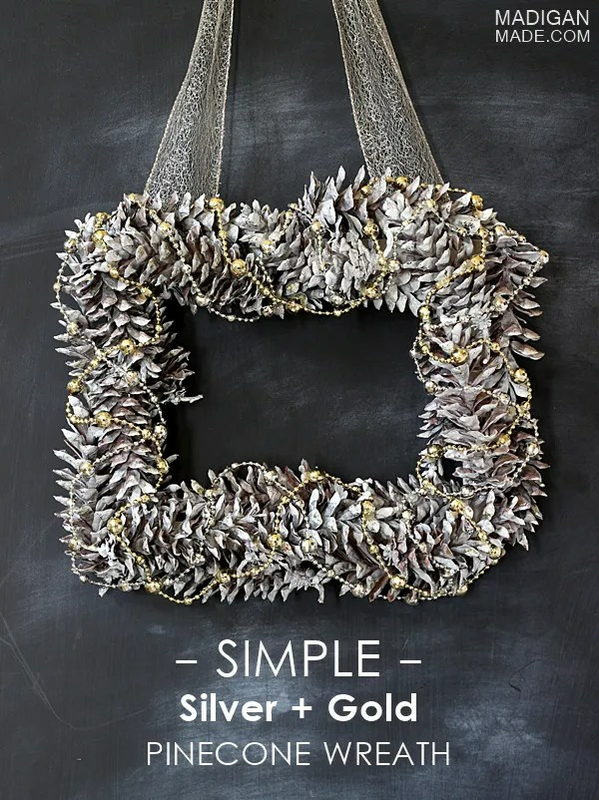 Be sure to check out my wreath tutorial on TT&J and see what other seasonal crafts other bloggers are making this week for Jen’s series. TGIF my creative friends! I hope you have a wonderful weekend!